Chandigarh Event entitled as ‘Fusion 10’ started with an opening ceremony at the Museum of Fine Arts at the Panjab University. From next day onwards, artists painted canvases in three days workshop. Swedish artists tried to generate environmental awareness. They prepared various bins to store separately various types of garbage like plastic, paper & organic to recycle it. Highlights: Dr. Mike Pandey addressed everyone and talked about Wildlife, Global Warming and his upcoming Movie. 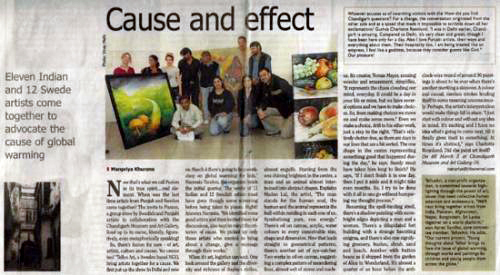 H’ble Artist Roop Chand praised the initiative & efforts done by TellusArt for the awareness. Approximate 200 selected artworks were exhibited in the gallery painted by children and youth from the India and other Asian countries Parallely Artwork comprising of Paintings, Installations and Photographs by 71 Professional Artists was displayed in the gallery. ‘Fusion 10’ an art exhibition & creative workshop was jointly held for Scandinavian and Asian (Himachal Pradesh, Haryana & Chandigarh) artists. 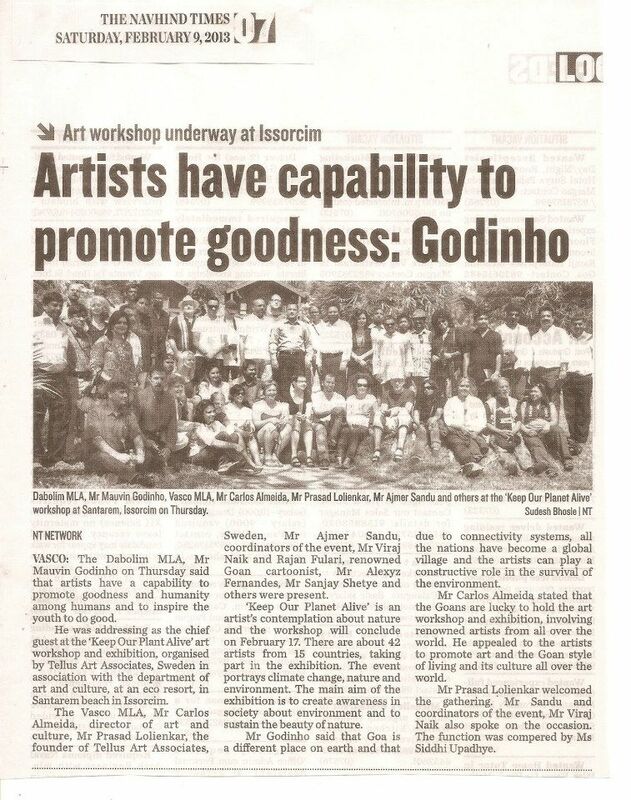 The workshop was open to the public where they were free to interact with the artists. A Warm Welcome with Garlands was given by The Principal, Govt. College of Arts, Panjab University. All the Artists painted one painting and gifted to him. 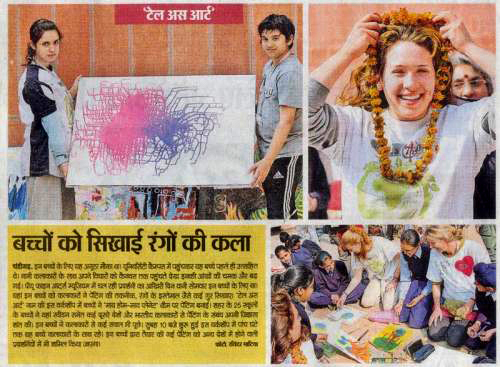 On 1st February 2010, a creative workshop “My home My planet” was conducted on current environmental issues. Children and youth from Local Schools had participated along with senior artists. It was a great opportunity to learn & interact directly to the artists on the sensitive issues.